At the heart of your work as a nonprofit communicator is the powerful mission-driven story that your organization has to share. How effectively are you bringing that story to funders, grantors, businesses, and individual donors so that they feel moved to support your work over the long-term? 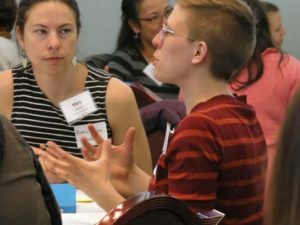 This half-day workshop, sponsored by Vermont Story Lab, will offer creative, dynamic strategies to showcase programs and participants to demonstrate impact. 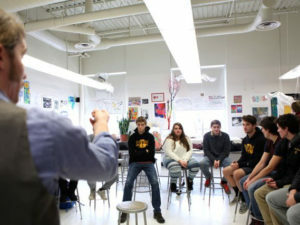 From shaping a poignant client story for an annual appeal to representing your program work through a compelling infographic, this interactive lab will share robust examples of effective nonprofit storytelling for specific diverse audiences. Please bring a stellar example of your own to share. The session will be facilitated by Marybeth Christie Redmond, a writer-journalist and former director of development and communications at Vermont Works for Women. 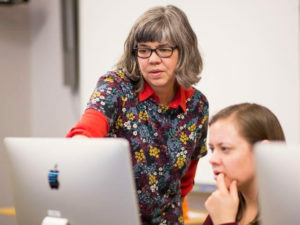 She has worked in marketing, communications and fundraising for a host of local and global nonprofit organizations over 25 years and taught digital storytelling to undergraduates at St. Michael’s College. 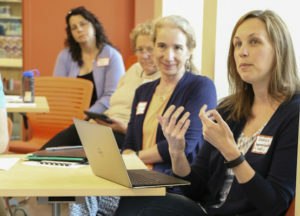 Redmond is a founding partner of Vermont Story Lab, a peer-to-peer network of nonprofit communicators exploring storytelling for change. Redmond earned a master’s from the Columbia Graduate School of Journalism.